A new majority black controlled private equity fund, New Seasons Investment Fund(“the Fund”), has been launched following the merger of two respected private equity fund companies – New Seasons Investment Holdings and Nodus Equity. New Seasons Investment Holdings is well known as the BEE partner in the Fidelity Security Group buyout in 2006. It brings interests with a net asset value of approximately R522 million in six private companies, including three co-investments with Nodus Equity and two listed companies into the new Fund. Nodus Equity is an open-ended private equity investment company which has stimulated deals through a link to both Nodus Capital, a corporate finance advisory firm, as well as New Seasons Investment Holdings. The Fund will be managed by New Seasons Investment Management, a newly established 51% black owned investment management company which pools the experience of investment professionals from both New Seasons Investment Holdings and Nodus Investment Managers, the former investment manager of Nodus Equity. It will focus on empowering medium-sized enterprises across various sectors in South Africa and will, in the first instance, manage private equity investments in excess of R1 billion. 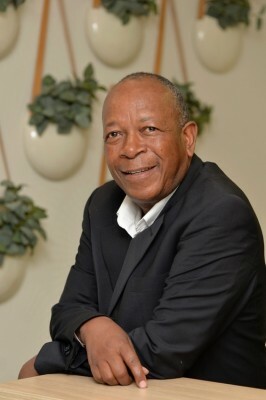 Mabogoane established New Seasons Investment Holdings in 1995 together with Peter Vundla, Advocate Kgomotso Moroka, Jabu Mabuza and the late Dr Enos Mabuza. 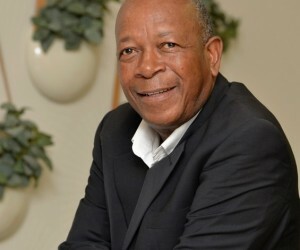 The company spent 20 years deploying innovative investment strategies to create wealth for shareholders and other stakeholders, and uplift historically disadvantaged black South Africans. According to Mabogoane, New Seasons Investment Holdings’ sector-agnostic investment focus saw healthy deal flows backed by successful capital raisings. “We will continue to apply this effective model for the new Fund and invest in companies that require equity capital for growth or provide shareholder support to companies that require active BEE partners,” he says. “The New Seasons Investment Fund’s focus will also include the social upliftment of historically disadvantaged South Africans. We will look to contribute and add value to inclusive economic transformation through our partnership approach, and will continue to deliver attractive returns to investors by providing capital, skills, experience, expertise, and our BEE credentials to strategic transactions that offer attractive investment returns,” he concludes. Nodus Equity was originally formed as an investment vehicle to house Nodus Group investments. In 2010 Nodus formalised its involvement in private equity by launching Nodus Equity.